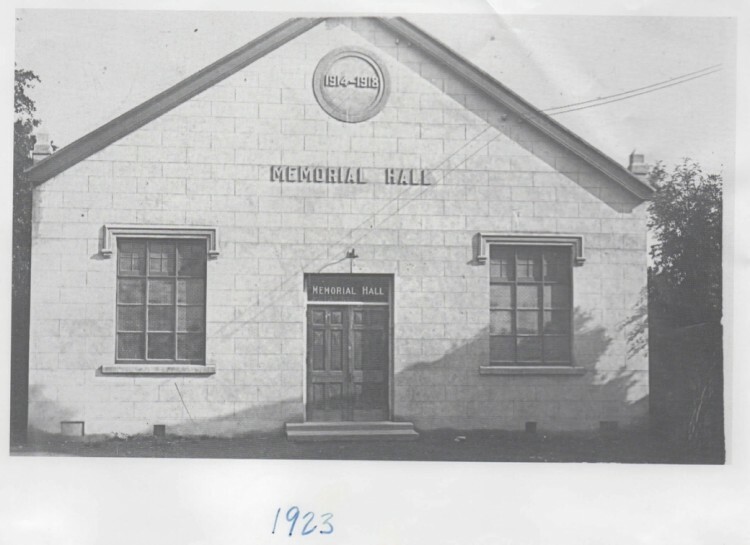 Newport Memorial Hall was built “to be…a place for public meetings and a social club and generally for such charitable purposes as…are for the benefit and advantage of the said town of Newport…” (Indenture of Mortgage). In 1922, Mrs Martha Amelia Havard, wife of Dr David Havard, of East View (the house next to Cnapan on Lower St Mary St) sold the land on which the Hall stands to a group of local people called the “Trustees”. The sum was £1005.00. This sum was paid off by the activities of the users of the Hall. To build the Hall as a memorial to those from the town who died during the World War 1914-1918, the people of Newport raised the money by public subscription. It is known that much of the building stone was removed from the redundant warehouse on Parrog. It is also recorded that at first a corrugated metal roof was proposed but this was not considered to be good enough for Newport’s new community hall so, presumably the town’s folk had to reach a bit further into their pockets. The Hall has continued for almost 100 years to operate by its charitable purposes. The Hall now aims to meet the needs of the community by providing a sustainable high quality resource for leisure, life long learning and to act as a social anchor for all ages in a 20 mile radius of Newport, Pembrokeshire. The Hall’s principles of inclusivity and inspirational events and activities aim to provide all members of the community with opportunities that they would not normally have in this rural isolated area with particular focus on the more vulnerable members of the community. Newport Memorial Hall is a registered charity (charity no 232375) run by a Management Committee who meet every few months to oversee the smooth running of the Hall. The Management Committee are supported by two members of staff.